Genomics, Medicine, and Pseudoscience: Raw milk enthusiasts want you to drink a bacterial stew. Yum. Raw milk enthusiasts want you to drink a bacterial stew. Yum. Sometimes it is astonishing how ignorant people can be. Now it's the turn of fans of "raw milk," a new fad that is sweeping the U.S. I still remember reading milk cartons as a kid, and asking my parents what "pasteurized" meant. While I don't remember exactly what they said, I'm sure they told me that it made the milk safe by killing bacteria. Even as a kid, I understood that bacteria in my milk were probably a bad thing. Louis Pasteur is one of the most famous scientists in history, and rightly so. In 1862, he invented the process of heating milk to kill the bacteria in it. Pasteurization, as we now call it, has saved millions of lives in the 150 years since. Pasteur also created the first vaccine for rabies. He was a true giant. Conspiracy theories: the Government is hiding the truth from you. Denialism: raw milk never hurt anyone, and even protects you against bacteria. Shifting the blame: infections are caused by other contaminated foods, not raw milk. "universal access to clean raw whole milk from pasture-fed cows, especially access for pregnant and nursing mothers and for babies and growing children." Langer et al., Emerging Infectious Diseases 18:3 (2012). 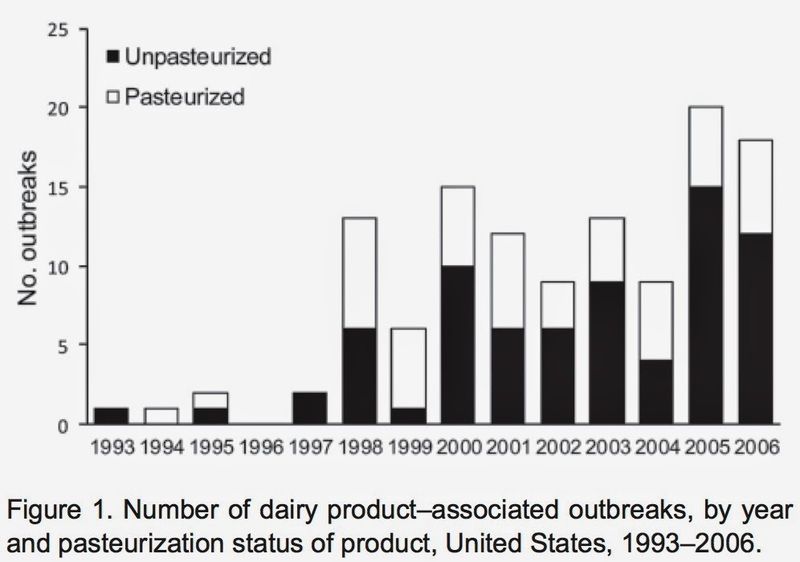 "The rate of outbreaks caused by unpasteurized milk (often called raw milk) and products made from it was 150 times greater than outbreaks linked to pasteurized milk." Dr. Robert Tauxe, an infectious disease specialist at the CDC, debunks some of the myths about raw milk in an article freely available on Medscape. John Snyder and Mark Crislip have both written compellingly about the dangers of raw milk at sciencebasedmedicine.org. "If I had known what I know now, I would never have fed [raw milk] to my daughter." Louis Pasteur and his wife had five children, three of whom died of childhood infections. These tragedies were Pasteur's motivation for studying infectious disease. Thanks to his work 150 years ago, no one today needs to die from drinking unpasteurized milk. The raw milk movement insists, despite the evidence, that they know better. So go ahead, drink your raw milk and eat a paleo diet too, while you're at it. But don't ask our modern medical system to pay for your treatment when you get sick. And most of all, don't subject innocent children to the unnecessary risks of raw milk. I think this, along with the antivax movement originated because medical science has gotten so good that people can't remember all the death and disease that vaccines and Pasteurization got rid of. They can't imagine why these things are necessary given that disease is rare without understanding that vaccines and Pasteurization *are* why disease is rare. I like the bacterial stew, especially in the form of yogurt and kefir. And beer. And bread. And pickles. And sauerkraut. Leaving a comment since I’ve been posting my raw milk adventures on facebook and people have been sending me links to this, so I thought I’d give another perspective from “the enemy camp”, as it were. In my case, drinking regular milk or cheese does magical, urgent explosive diarrhea things to my digestive system, so over the years I’ve grown to not “like” diary products anymore. Because after a while you associate the taste with the following feeling, and after a while — though looking back, a longer while than is reasonable — you start to not care for the food. This is a big point for the traditional, weston price-based arguments that you get for raw milk i.e. significantly better nutrition, and clearly not what the focus of the research has been on i.e. elimination of horrible diseases, more or less ignoring nutrition. In my N=1 unscientific case, pasteurization makes milk indigestible so clearly something more is happening than only eliminating horrible disease bearing pathogens. Pasteurization is therefor a tradeoff, not a panacea. In my case, the choice is really raw milk or no milk, and sick as in explosive diarrhea is not in the same class as sick as in can no longer walk. I don’t actually know the numbers (100% chance of cramps, ?? chance of serious food poisoning) but maybe no milk period is indeed a smarter choice, especially for those who aren’t packing a robust immune system. I stumbled on this because I was wondering about the "French paradox". in France vs. UK , Quebec vs. Ontario. of such cheese a heresy (tastes worse ?). (and all causes) declined impressively. This is one of the most idiotic articles I've read. 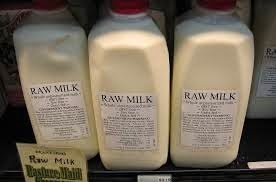 Raw milk is MEDICINE and will significantly improve the health of someone on a processed foods diet. -I've been drinking it for almost a year now and have only experienced positive results. - The farmer that introduced me to raw milk has a great grandfather in good health for his age at 107, and has been drinking raw milk since he was born. Whoever wrote this article is either a shill for some big corporation...if not, he/she needs to do some research on a credible site.